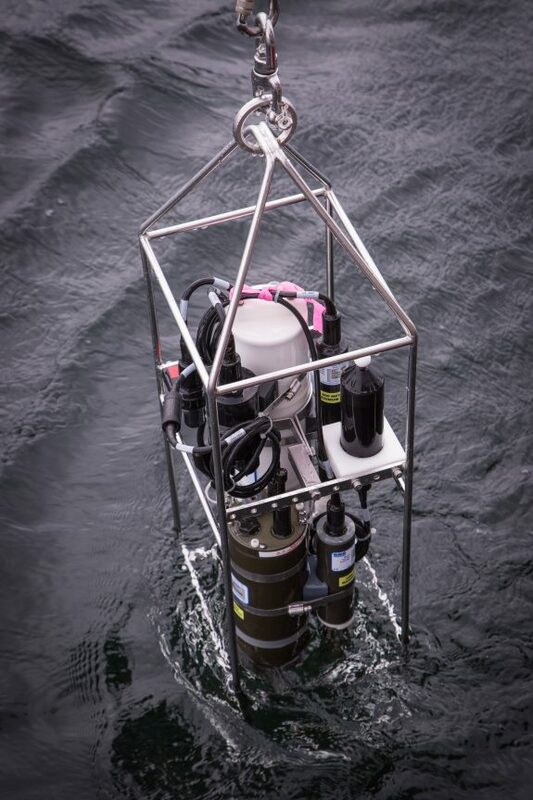 Hakai deploys a CTD sensor, the workhorse of oceanographic measurement. 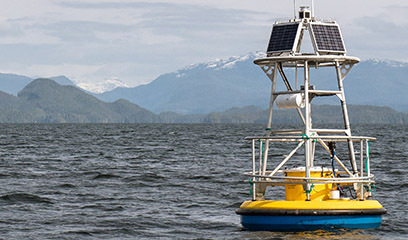 Ongoing monitoring by the Hakai Institute is changing our understanding of ocean dynamics in British Columbia. Large swaths of the expansive British Columbia coastline were historically understudied when it comes to oceanography. 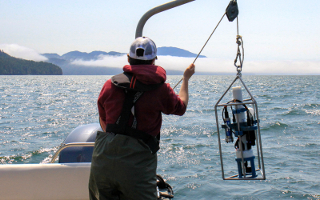 Hakai research is filling these gaps through our studies of specific coastal ecosystems, various ocean processes, as well as the linkages between coastal and open ocean environments. We compare sparsely available historic data to current conditions to find out how the coastal ocean has changed in the last 75 years. Hakai scientists are coupling sporadic data collected since the 1950s with recent frequent observations to illuminate long-term change. With a specific focus on Johnstone Strait, Bute Inlet, and Rivers Inlet, this work has significant implications to determine local impacts of climate change. Historically, these sites may have only been visited by oceanographers a few times per year, but with ecological observatories on Quadra and Calvert Islands, we are able to visit study sites in the area on a monthly or even weekly basis. 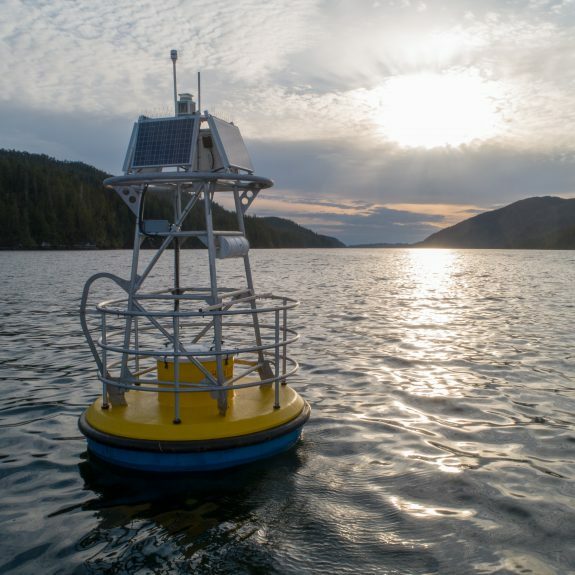 In addition, autonomous sensors are used where ever possible to collect data on time scales of minutes to hours from moorings, cabled observatories, and ocean gliders. oceanic systems, and the base of the marine food web, not to mention the effects that climate and human driven pressures are placing on the ecosystem. Our work to understand the regional oceanographic environment provides insight to the health of this ecosystem that are essential to marine management and planning.